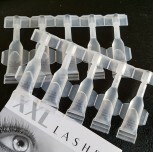 Eyelash Extension Remover in a convenient mini-dosage, re-sealable, 10 × 0.5 ml – world debut! Well liked for handing out to the client to take it home. 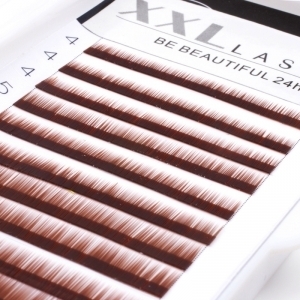 Ever so often stylists are asked by clients about the method to remove their extensions on their own, when individual lashes do not sit well or lose perfection from long use, so that the entire look is no longer satisfactory. It becomes very convenient for the client to help herself particularly while traveling when a stylist is not available on the spur of the moment. Rather than to have clients fiddling around and plucking their natural eyelashes improperly it is recommended to give them a remover in anticipation of this eventuality. 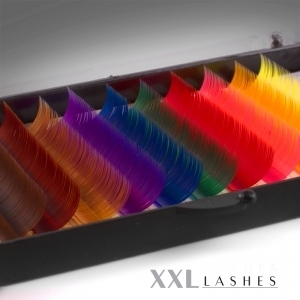 XXL Lashes is the first to come up with a solution. 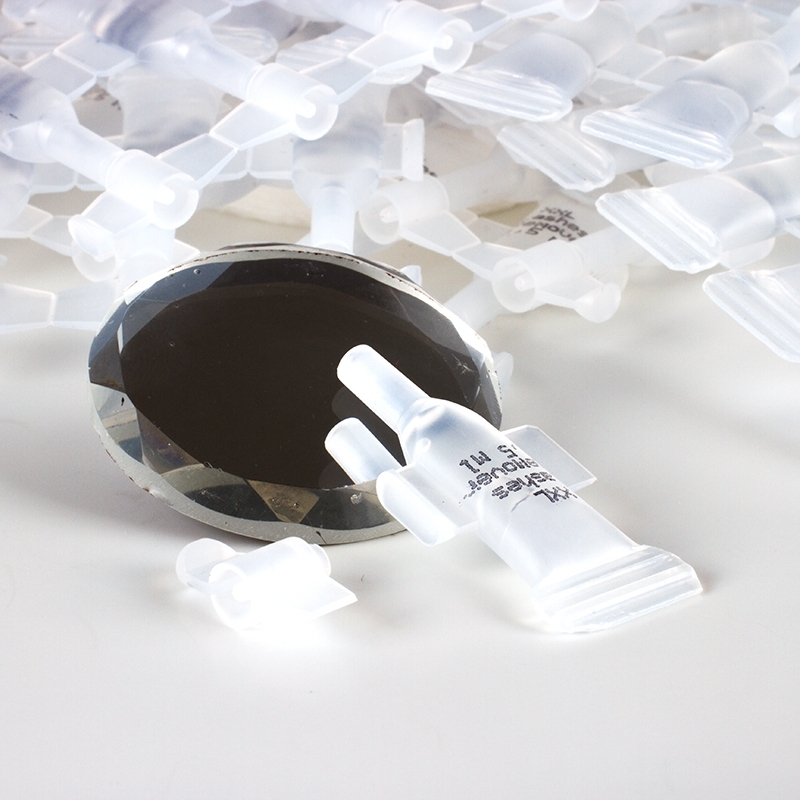 A single dose consisting of 0.5 ml of remover. The mini-containers can be re-sealed after use so that the remaining unused portion can be saved for further use. 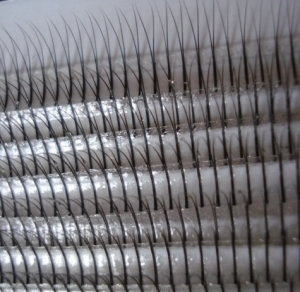 Do equip the client with a pair of micro brushes as well to enable precision in application of the remover. Thereafter, instruct the client at length about its use, as penetration of the remover into the eyes causes a painful burning sensation. This has to be and can be easily prevented. On no account let the remover come into contact with the mucous membrane while doing so. This causes a burning sensation! (Should this happen despite the precaution then splash the affected eye with water until it ceases to burn). Now peel the extension away carefully in an upward motion (in the direction of the eyebrow). The extension should be easily removable. Should this not be the case then we recommend that the remover stay on for a little longer. 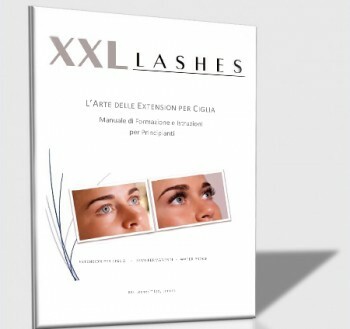 For the removal of an entire set of eyelashes follow the method described above. Instead of smearing an individual eyelash turned upward all the eyelashes should be smeared in the way one would apply mascara. This has to be executed very skillfully as the remover should in no event come into contact with the mucous membrane or the eye. 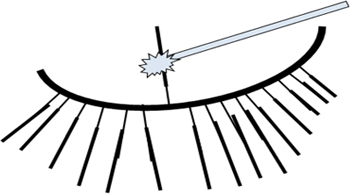 After a requisite waiting period the extension may be peeled off carefully in an upward motion (in the direction of the eyebrow).